It’s the gift-giving time of the year. I’ve put together a list of stuff that will make great gifts for your fountain pen loving (or soon to be) friends and loved ones. What are you getting for the stationery fiend in your life this year? Lamy Safari / AL-Star – Fine or Extra fine – The Safari was my first pen. It features a triangular grip to promote proper writing form and is reliable and cool looking. It’s also available in an aluminum version if you like the looks of that better. I’d suggest an extra fine or fine nib for a new fountain pen user so they don’t get discouraged by feathering and bleeding on cheaper paper. At around $22, it’s a nice entry level pen. Don’t forget to pick up a Z24 converter so they can use bottled ink! Pilot Parallel – My recommendation for those interested in calligraphy. They come in a range of widths and are easy to set up and use. They look cool and perform well. They’re cheap enough to pick up a few – check out this set that has all the sizes for right around $35. Christmas-colored Inks – Why not match that new gift with some holiday colored inks. Two of my favorites are Diamine Evergreen and Diamine Oxblood. Both inks perform great and come in around $13 for a 50ml bottle. Rhodia No. 18 Dotpad – Fountain pens are best accompanied by smooth writing paper. Rhodia is my favorite paper for writing on and it comes in a bunch of sizes and rulings. I love the DotPad – it’s like a hybrid graph paper, but has dots instead of lines. The dots are unobtrusive and the bright white paper really shows off the inks color on the page. Price varies by size. Quo Vadis Habana – Is there a person in your life that absolutely loves their Moleskine notebook? Well get them one of these and they will never go back. The faux-leather cover and high quality paper really is a step above the rest. It looks professional and is a pleasure to use. They’re not cheap, but they are built to last. Maybe something a little nicer? Lamy 2000 – This is my all-time favorite fountain pen. It’s a design classic that is shown at the Museum of Modern Art in NYC and still looks futuristic, despite being launched in the 1960s. The gold nib performs great and it’s built like a tank. 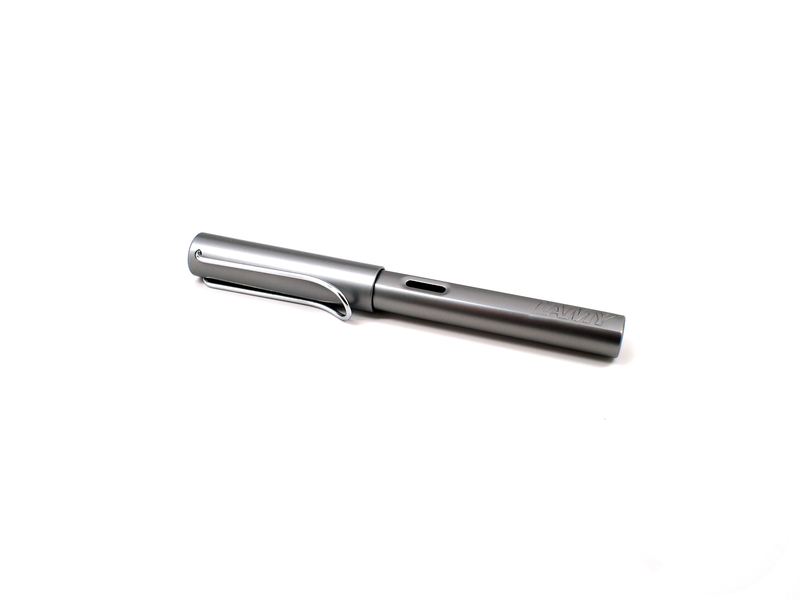 The pen fills with an integrated piston and has an ink window to see how much you’ve got left in the tank. I can’t recommend this one more. I recommend either a fine or medium nib. They run about $130 and are worth every penny. 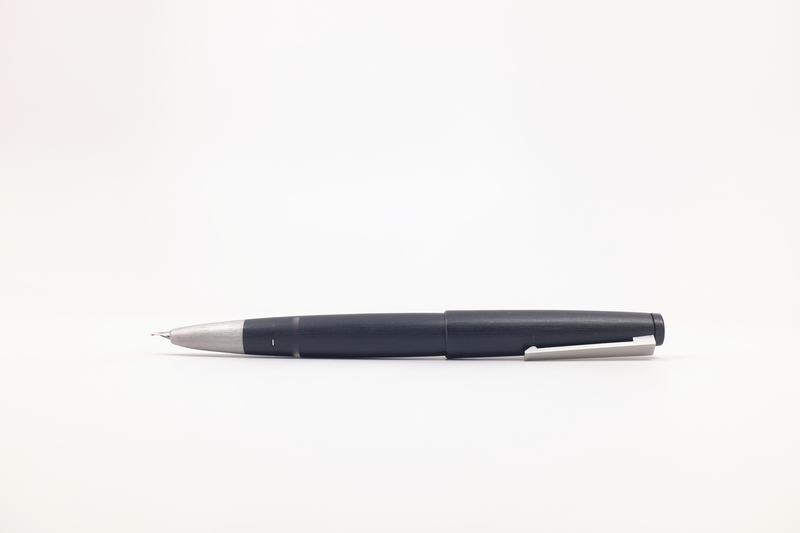 Pilot Vanishing Point – Another cool pen in the $130 range. This pen is unique in that it has a fully retractable nib – no losing pen caps here. I find them great for taking quick notes without sacrificing the nice writing experience you get from a fountain pen. This pen is neck and neck with the 2000 for best pen in the price range. The nibs on these run finer because they are from Japan, so keep that in mind when ordering. 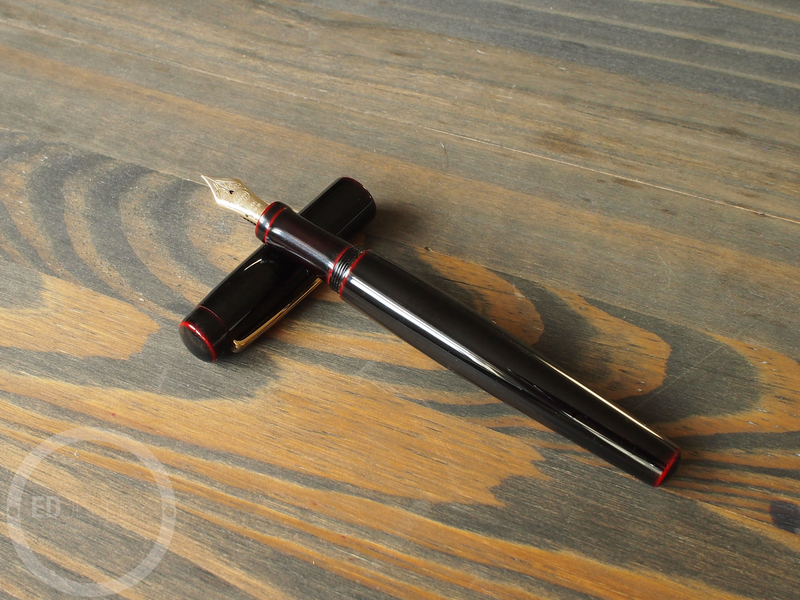 Karas Kustoms INK Fountain Pen – Another made in USA product that I love. The INK is the perfect size and shape, boasting an industrial, yet classic design. Machined out of aluminum, then anodized. Available in tons of colors with different metal grip sections. I’m pretty sure that the INK could withstand an atom bomb blast. $85-$105 from Karas Kustoms. TWSBI Diamond 580AL – A cool looking demonstrator style fountain pen. You can see the internal workings as well. TWSBI has great customer service and are pretty much the best in their price range. It’s oddly satisfying to see the ink you’re using sloshing around inside of the barrel. The packaging is really cool too, making for a great presentation. At $65, they won’t break the bank. Pelikan M600 – The Pelikan M600 is a super classic. It performs great and will make an excellent heirloom pen. Pelikans are great and will make a great gift someone will cherish for years to come. $400 from Fahrney’s. Visconti Homo Sapiens – Another awesome looking pen that writes silky smooth. The Homo Sapiens is made out of real lava rock with bronze accents. It’s a heavy, oversized pen that comes in a nice leatherette box. They don’t come cheap at $650, but this is the “money is no issue” category after all. Nakaya Pens – Functional art. These pens are hand made in Japan and are coated in urushi lacquer. They look and feel amazing. How do they write? Perfectly. They’re distributed by Nibs.com in the USA and come in a variety of shapes and sizes. This is one of my favorite pens. I’m a huge fan of the Neo Standard. 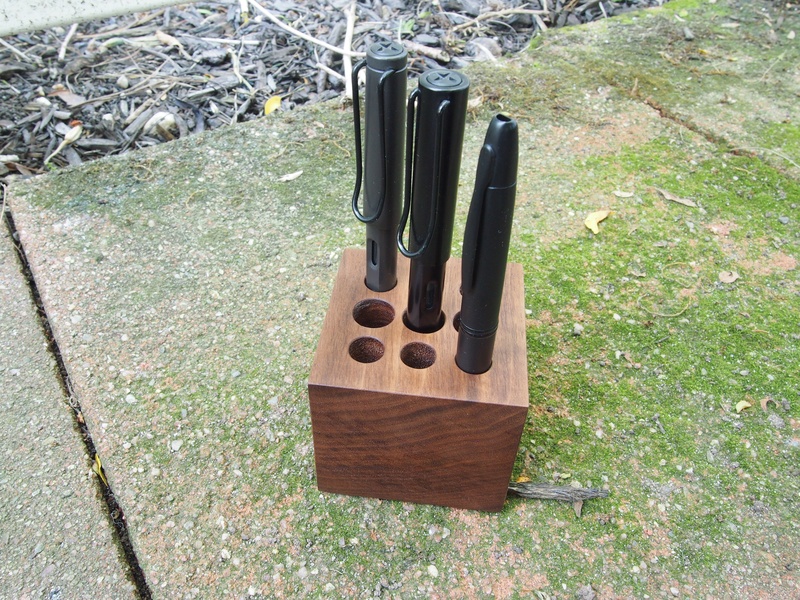 Dudek Modern Goods Pen Stands – All handmade in Arizona by Mike Dudek. They’re superbly crafted from walnut wood and look great on any desk or shelf. Many sizes and configurations. Note, they are all handmade to order so there’s a chance they might not show up by the end of the month. I know I’d be perfectly happy with a picture of one printed out in an envelope to let me know what I’m waiting for! One Star Leather Pen Sleeves – I absolutely love my pen sleeve from One Star Leather. I use it every day. It looks great, keeps my pens safe, and will last a lifetime. In addition to all that, you’re supporting a one man operation, made right here in the USA. $25-$40 in many colors and configurations. NOCK CO. Pen Cases – Maybe you need to carry around more than one or two pens? Check out the awesome line of durable cases by NOCK CO. I’ve been using The Brasstown ($35) – it’s a pen roll that rolls up into a zip case. It’s well made and does a great job of protecting the pens. A close runner-up is The Lookout ($20) – a three-pen case with a flap closure. All made in the USA too! Pen Cleaning Kit from Goulet Pens – Dirty pens? Keep them clean with this special solution from Goulet Pens. It will safely clean that ink out of the barrel. The task is made easier with the included bulb and syringes! Goulet Ink Drop Sample Subscription – I had an Ink Drop subscription for a while and it was great. They send a curated sample pack of 5 inks every month. It’s a great way to try out new inks and it’s fun to get a surprise in every package month after month. Makes a great gift!  JetPens Gift Card – Tons of options. Like TONS. Mostly Japanese imported pens, and mostly great. They have everything from pens to pencils to paper. Free shipping on orders over $25 and great service. Anything you think should be added to the list? Let me know! Disclaimer: There are Amazon affiliate links in this post. You can support the site (maintenance fees, server fees, etc.) by shopping through these links. How about the Nock Co cases? The big bottles of Diamine are 80 ml, not 50, so it is an even better deal!